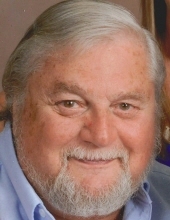 Darrell "Butch Fryar, age 71, of Rhinelander, died on March 22, 2019 at the St. Mary's Hospital in Rhinelander. He was born on December 22, 1947 in Tomahawk, Wisconsin to Richard and Maybelle (Hanson) Fryar. Butch was raised in Tomahawk and attended schools there after which he attended Madison Technical College where he received a degree in Barbering. On June 27, 1970 Butch married the former Diane Crandall in Rhinelander and they enjoyed almost 50 years of marriage. Butch and Diane made their home and raised their family in Rhinelander. He held quite a number of jobs throughout the years. He worked as a barber, bartended in a number of establishments in the Rhinelander area and also worked for Birginal Motors in the parts and service dept. He managed the Holiday Station in Rhinelander for a number of years and then the ICO in Hazelhurst. Besides all of that he and Diane ran their own screen printing business. In his spare time Butch enjoyed fishing, golfing , pool league and riding his Harley. Butch was a longtime member of the First United Methodist Church in Rhinelander. He loved being with family, his church family, his family of friends and most importantly his own family. He will be missed by many. Butch is survived by his wife Diane, his daughters Mischell Fryar and Krishell (Matthew) Gniotczynski, his grandchildren AJ and Jaden, his brothers Richard (Carol) Fryar, Gary Fryar and Jason (Jen) Fryar, nieces, nephews, other family and many friends. He was preceded in death by his parents. A memorial service will be held on Saturday, March 30, 2019 at 11:00 AM, with visitation from 9:00 to 11:00 AM, all at the First United Methodist Church. Chaplain John Uhlarik will be officiating. A complete notice will follow here and in the River News. You may leave your private condolences for the Fryar family at www.carlsonfh.com. The Carlson Funeral Home (715-369-1414) is serving the Fryar family. "Email Address" would like to share the life celebration of Darrell "Butch" Fryar. Click on the "link" to go to share a favorite memory or leave a condolence message for the family.